"Affiliated with Pettigrew Realty, Apex Real Estate Academy features knowledgeable instructors who have over 50 years of combined experience." 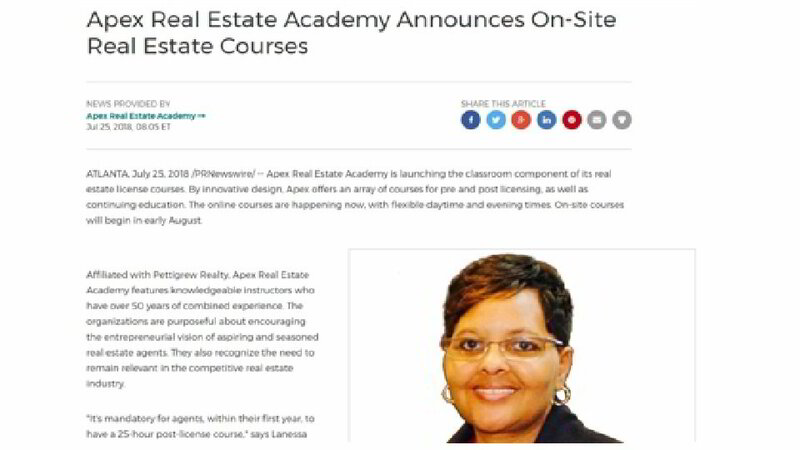 Apex Real Estate Academy's grand opening is featured in a Newswire press release! The article includes important information about the founder, Lanessa Pettigrew, her agency, and signature services offered at the academy.